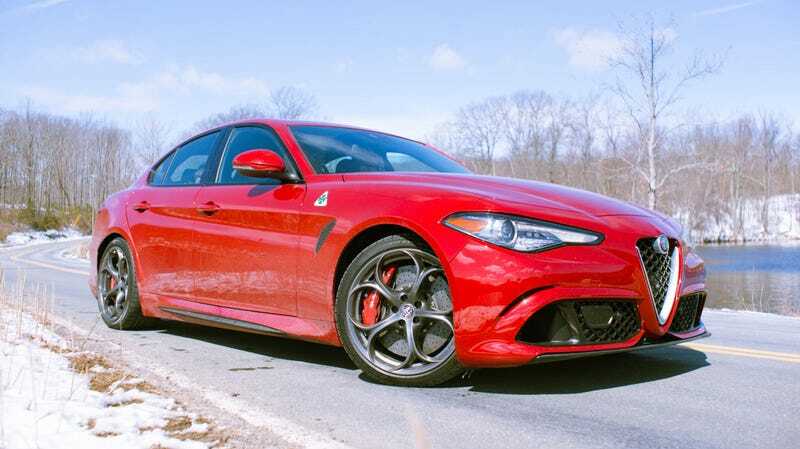 The kicker for Car And Driver’s 10,000 mile check-in report for its Alfa Romeo Giulia Quadrifoglio long-term loan reads: “When we have it, we love driving it. We just wish we had it more.” It perfectly represents the disappointment of having such a fun new car plagued with so many problems, but who is surprised? Car And Driver is not surprised. As pointed out in the magazine’s latest follow up, they were already having issues with the Giulia pretty much as soon as they got it. According to the July article, a warning light for the electronic throttle control lit up at around 2,400 miles, quickly followed by a check engine light. Then the same warning lights lit up again at 4,100 miles during track testing. We’d been hearing some whining from our car’s rear end and asked the dealership techs to check it out. They diagnosed the sound as bearing noise from the differential. Okay. The solution, after the dealer consulted with Alfa corporate support, was to replace the whole diff. But it would have to be ordered. 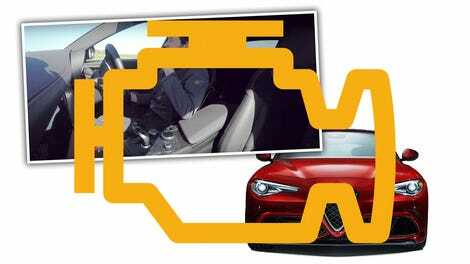 Car And Driver have only had the Giulia for five months, a full month of which was spent waiting around for the sole Alfa technician’s schedule to open up and replace a differential after just 10,000 miles. Incredible. And that’s not all! The magazine also reported it had to replace the front-right tire on the car after a bubble popped up in the sidewall, at a cost of $275. A rock also cracked the windshield, which was further $1,209 repair, and the diff replacement was ultimately only $169 for the regular service, since it was done under warranty. Car And Driver has reported issues with its short term test Giulia in the past as well, and we had our own bout of issues when we tested the car last year, when Alfa had to take the car back to Michigan to diagnose and fix its issues. Consumer Reports, Motor Trend, Road & Track and more have also reported numerous issues with Giuia Quad test cars. The lesson here is not that the Giulia Quadrifoglio is a bad car. Car And Driver wrote that it’s a hoot to drive when you commit to it, and when it isn’t committed to failing. We also loved the crap out of driving it, while we had it. The lesson is to do just that. Get the car, GET THE WARRANTY, and enjoy as much of it as you can while you can, and then try to get rid of it, probably. I have a feeling Car And Driver’s next long-term check in will be just as juicy on failings, and I wish them all the best at getting some quality seat time out of it before it happens again.